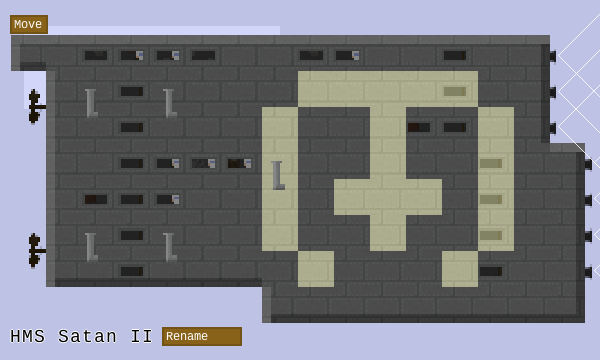 Airships version 4.1 is out, bringing graphical improvements, paintable ships, and a bunch of bug and balance fixes. 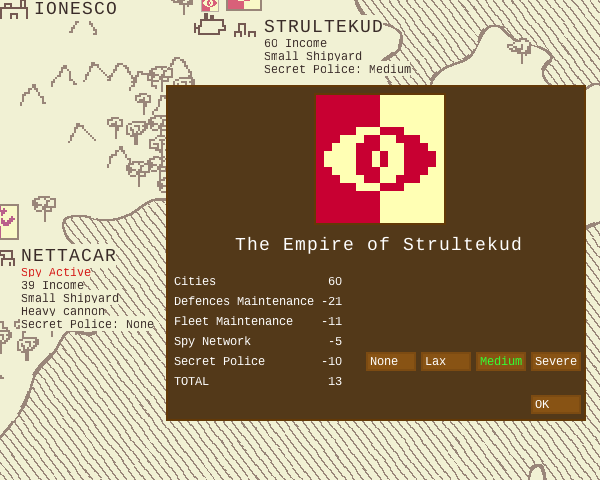 Beyond that, the major new addition is a counter-espionage feature in singleplayer: your empire now has a secret police that prevents spy actions, and you can choose its funding through the new Empire Details dialog. But note: as your empire increases in size, your secret police becomes increasingly unwieldy. Finally, as befits an incremental update, 4.1 fixes a whole bunch of bugs: misplaced ships, graphics glitches, etc. So if you already have a copy, head over to the download area to try it out - and if you don't, you can buy the early access version for $5, which includes access to all future versions up to the release.